We have a month full of crimes and misdemeanors in store at Old Hollywood Films. 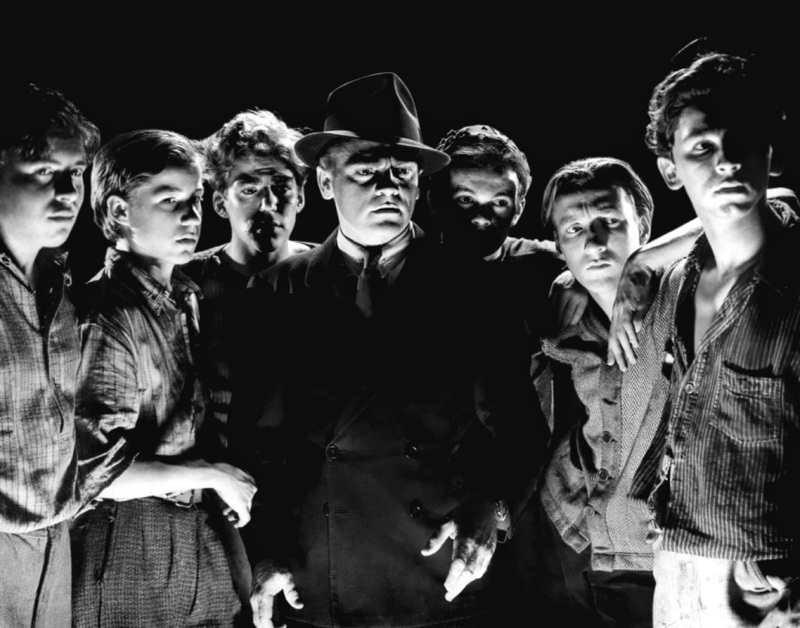 - Our movie of the month is Angels with Dirty Faces (1938) starring James Cagney, Pat O'Brien, Ann Sheridan and Humphrey Bogart. We'll be looking at all aspects of this classic gangster film including the famous electric chair scene, the careers of the Dead End Kids and the onscreen partnership between Cagney and O'Brien. -We'll be celebrating Ingrid Bergman's 100th birthday with an ongoing series about her films. -We'll continue our Top 100 Westerns series. Next up is Oklahoma! (1955) starring Gordon MacRae and Shirley Jones.